The innovative Joyetech JVIC (Juice Vertical Injection Coil) system adopts a unique method of vertical juice injection resolution. It has a brilliant ceramic cradle which takes a horizontal approach in discovering original and clear flavor as well as large clouds. It's Kanthal coil wrapped by ceramic cradle. JVIC1 0.6ohm MTL head is for mouth-to-lung vaping. 5pcs each pack. • Compatible with Atopack Penguin. 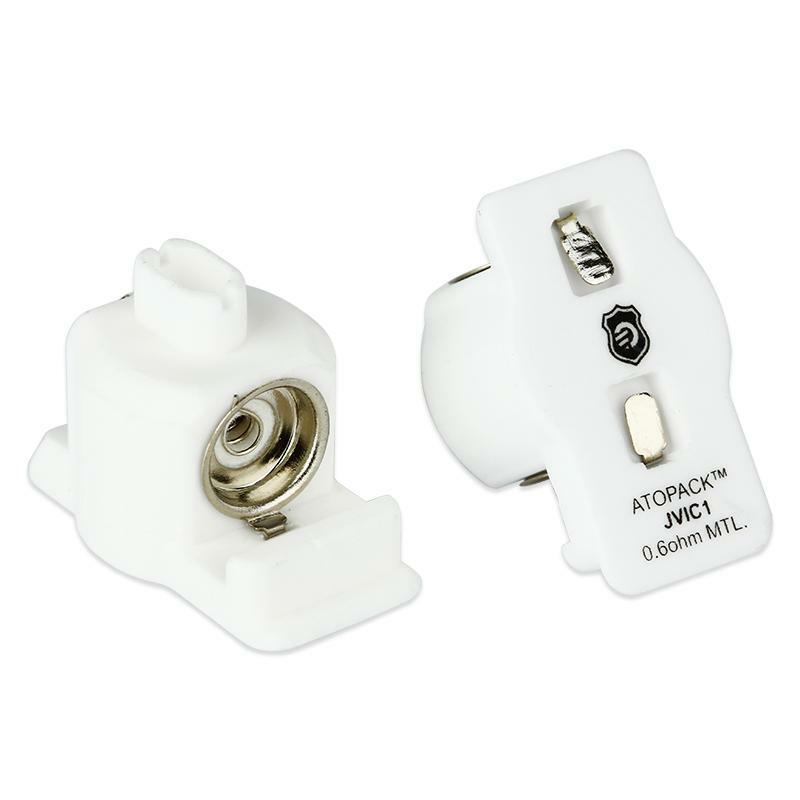 Joyetech ATOPACK JVIC1 MTL Coil Head has five pieces of Joyetech ATOPACK PENGUIN coil head; JVIC1 0.6ohm head of mouthpiece to lung vaping. the seller does not have this заказываю for the first time. has always been before being satisfied. there is a seller has this feature: when you order available rf and china. transportation from выбираешь rf оплачиваешь, to the seller and write, shipping from china and rf runs offers that. 4 ordered this. once again walked from China. strongly wrinkled all have packing. достать was not some reel. found отломан coil is a case in point. left unsatisfied.